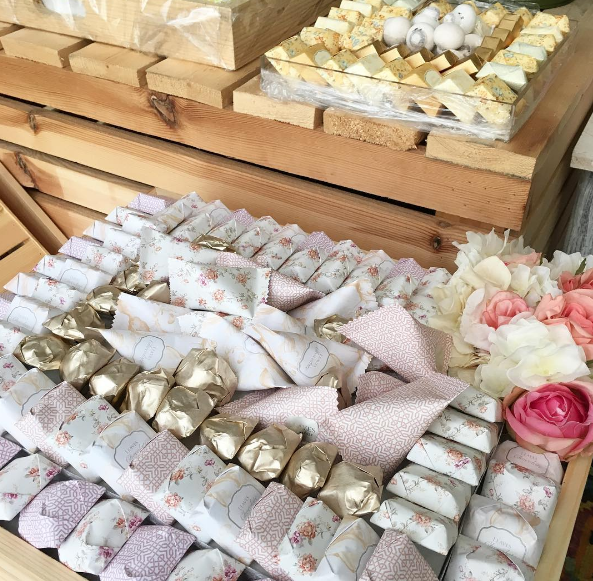 Chocolates are a main item at Arab weddings and pre-weddings celebrations. 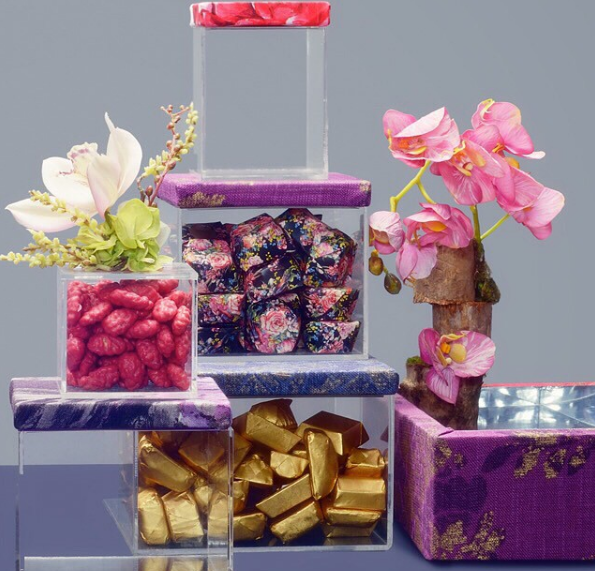 In the Middle East, especially in the Gulf Region, brides are always looking for the latest ideas, trends, colors, and flavors, when it comes to presenting chocolates. 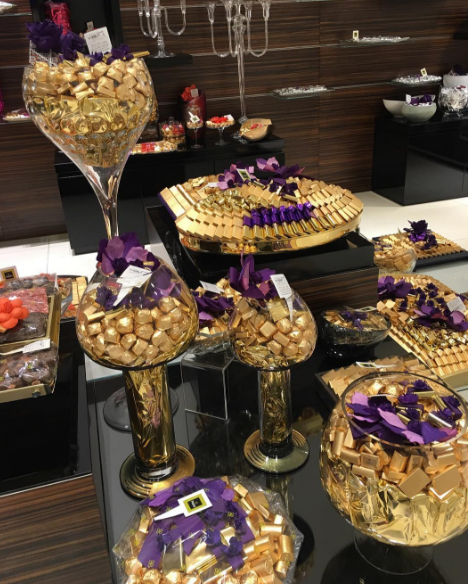 In Jeddah, there are so many amazing chocolate boutiques; the options are really endless. Patchi is one of the most popular and well-known chocolate boutiques in the Middle East, it offers unique and high-quality chocolates. 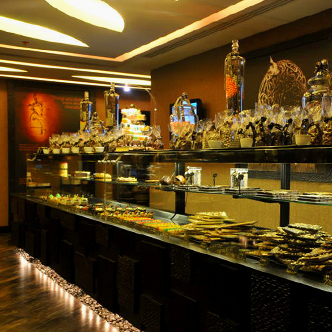 In Jeddah, Patchi has over 16 branches, which offer rich choices of chocolates. Voila is the product of obsessive chocoholics who have the vision to paint the town chocolate. A dedicated group of purists who have selected the finest cocoa beans from around the globe to produce the most exquisite flavor combinations all under one roof. Voila are also capable of making your very own chocolate wedding cake and cater to your wedding. Once you see their unique chocolate wrapping and presentation you will fall in love with Leaves Chocolate. Not only are their chocolates delicious and high quality, they also pay attention to their designs, colors, and chocolate themes. 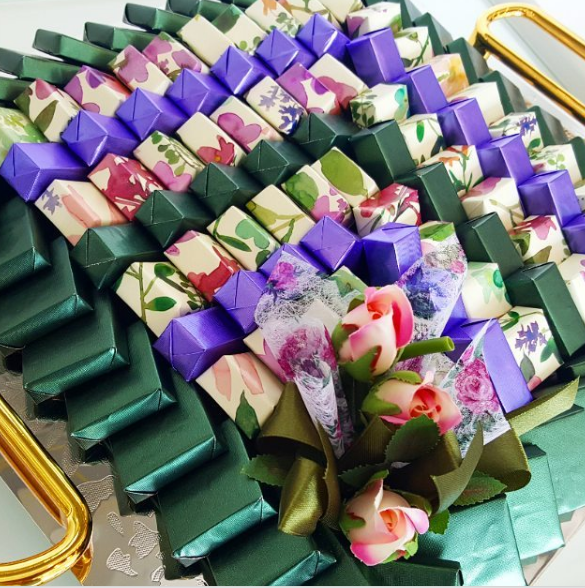 Create a chocolate arrangement that suits your wedding theme and colors. Le Concheur is one of Jeddah’s latest chocolaterie offering foodies exciting creations made of the finest quality chocolate around. Indulge your senses at one of finest Belgian Chocolate house and patisserie in Jeddah.